With Ethan left on his own adventures in Nova Scotia, Matt and I left Halifax on June 28th, a beautiful day, and made our way approximately 40 nm north to Owls Head bay where we found good holding and dark coke coloured water. 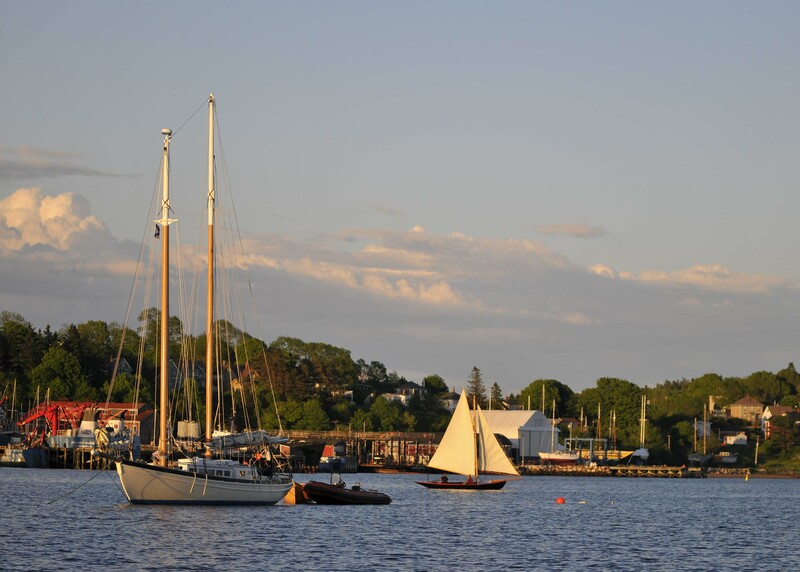 Trip Log – Mahone Bay and great people! Where to begin? This is my first attempt at writing a blog post. In fact it’s my first attempt at writing, other than the chicken scratch time-cards I fill out for Michelle at Gannon and Benjamin, that I’ve undertaken in years! At lest four years to be exact, as that is when I bought Heart’s Desire, and the point at which everything in my life other than boat work ceased to be. Almost everything… So get on with it. 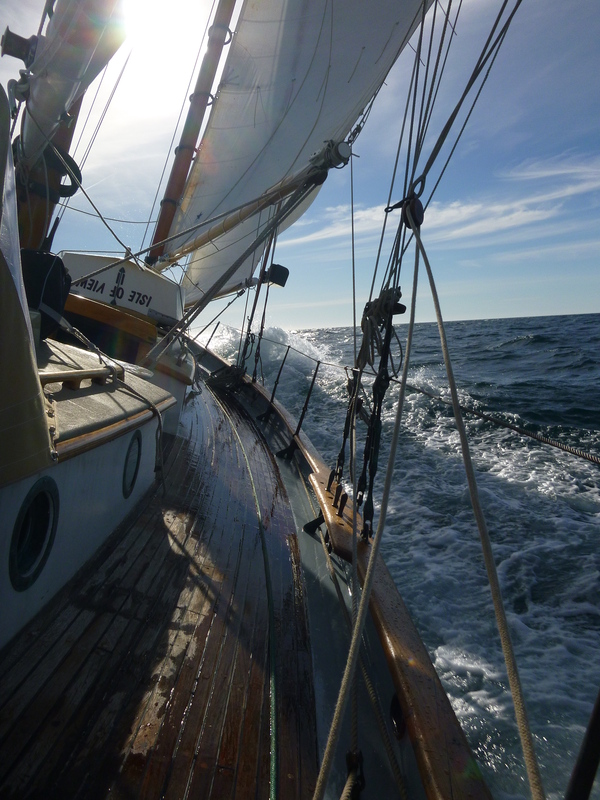 We have now been in Nova since June 18th and have been bit lax about keep up this blog so I’ll be flexing what brain cells I can to remember back some 150 Nautical miles to our time in Lunenburg, and our introduction to cruising in Nova Scotia. It couldn’t have been better. 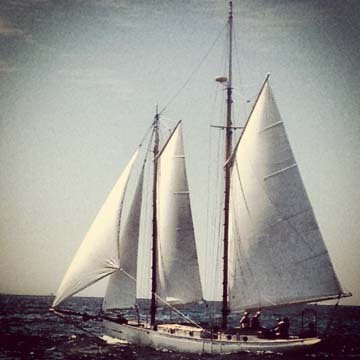 In Lunenburg, Heart’s Desire, and (sailing) Fo’get About It. I have mentioned him a few times but never really introduced our crew extraordinaire Ethan! Ethan met Matt working on the sailing cargo ship project the Kwai based out of Hawaii/Cook Islands. They re-met when Matt started visiting Ottawa since Jessica is also from there. Ethan at the helm of Heart’s Desire, entering Lunenburg harbour. Ethan has been working for the Canadian Coast Guard up in the arctic on ice-breakers and on the St. Lawrence ships. 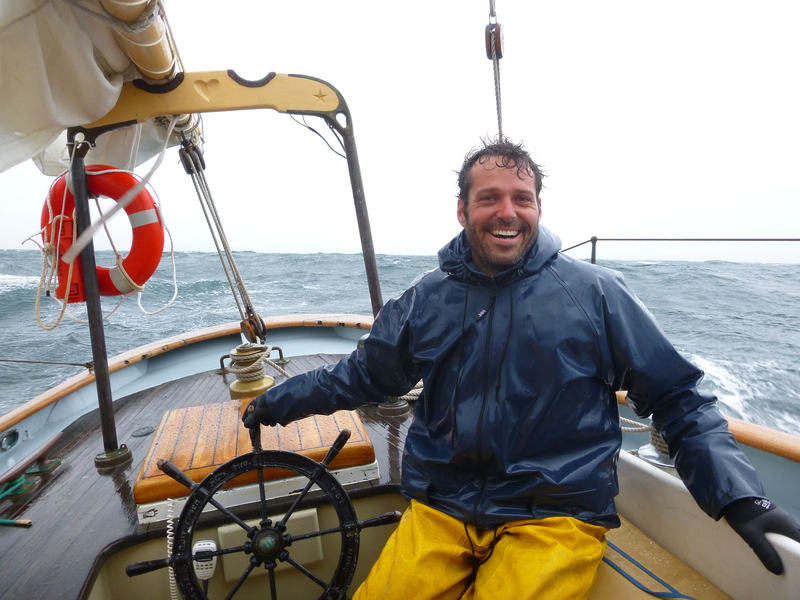 With extensive sailing experience in the south pacific and throughout the Atlantic he has been a great asset. Without him we would have been hoving-too out in the Atlantic for many more hours than it took for us to enter Lunenburg on Wednesday. He’s been keeping us in drinking form in Lunenburg so far and will continue with us around Mahone Bay and up to Halifax. Ethan has been the main engineer for the Kwai and designed their rig & construction plans. The Kwai is three-quarters of the way through the conversion from a powered cargo vessel to a sailing (and powered) cargo vessel servicing islands in the south Pacific. Thanks for the great send off party put on by Gannon & Benjamin! Maybe we’ll have to leave more often! WELCOME! The following map illustrates our sailing plans for June to October, 2014. We hope you will follow our posts as we make our way around the Canadian Maritimes over the summer and Maine in the early fall. Travel plans for summer 2014. Depending on timing and how things are going the most northern part of the trip has a couple options. 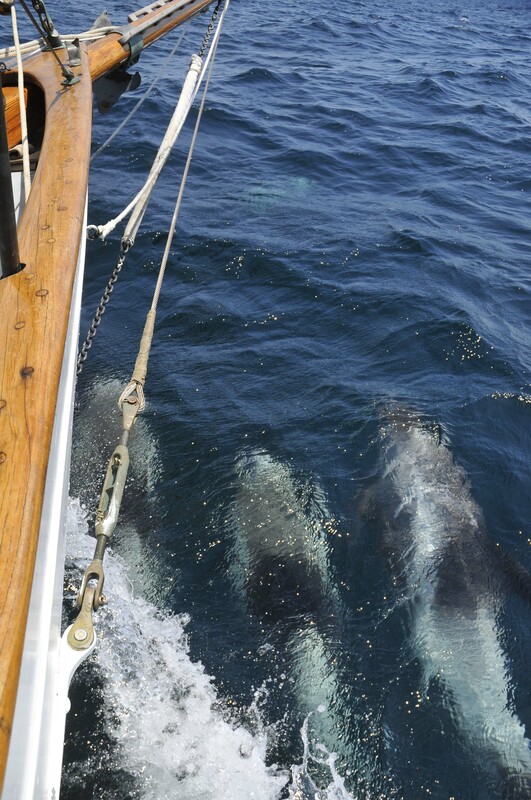 We plan to go strait from Vineyard Haven, on Martha’s Vineyard, MA, to Lunenburg, NS. After that we will hop the coast into the Bras D’or Lakes, NS, exit to the north and cross the Cabot Strait to Newfoundland. We will travel up the west coast to Gros Morne National Park and assess the situation from there. We plan to try to go to the Iles-de-la-Madeleine, QC on our way south. We will go through the Canso Canal and hop the coast back down to the Yarmouth area. Across the Bay of Fundy we hope to meet with friends and family in northern Maine then continue home to Martha’s Vineyard by mid October. Well if you are reading this it is because I am finally satisfied with the set-up of our website and felt ready to present it to the public and all the people I keep telling about it. "There are two tragedies in life. One is to lose your heart's desire and the other is to gain it."